A will is a legal document that lets you set out what you want to happen to your finances and assets when you die. Without one your affairs can be in limbo for years.This is especially important if you live with your partner but aren’t married or in a civil partnership as common law rights don’t exist. If you die your partner may not get the house – even if you’ve been together 37 years and have six children. Equally if you are married and have children from a previous marriage – your kids may miss out, as it’s the intestacy laws that dictate how your money is disbursed. They depend on where you are in the UK, use the tool at https://www.gov.uk/inherits-someone-dies-without-will to see. October is Free Wills month. If you’re aged 55 or over (or in a couple one must be) then solicitors in over 40 locations in England, Wales and Northern Ireland will draft a will for you for free. Enter your postcode on the www.freewillsmonth.org.uk website and call to book an appointment with one of the participating solicitors. They get busy so do this ASAP.Charities pay for the solicitors’ time so expect to be asked to consider leaving something to charity in your will. You don’t have to, but do if you can. Perhaps leave at least enough to cover the solicitors’ fees– typically £100 – £150. November is Will Aid. This is a bigger scheme, right across the UK, open to any age. The website www.willaid.org.uk (or call 0300 0309 558) lets you chose a solicitor to call and book an appointment. Remember to say you’re calling as part of the Will Aid scheme. They will ask for a donation of £95 (£150 for couples) to one of nine charities including Action Aid, NSPCC and the British Red Cross. You can do it online before your appointment. Print out the receipt and take it to the solicitor. If you can’t afford it, you can give less. 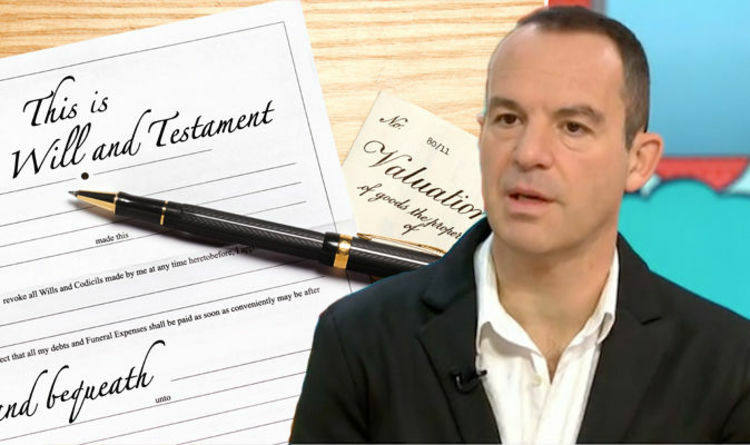 There’s a range of other ways to write a will for less. See my guide at www.mse.me/freewills. Getting a Power of Attorney is possibly more important than a will. When you die, the issue is dispersal of your money. But if you lose your faculties through, say, a stroke or dementia (one in three people develop this), don’t assume relatives can walk into the bank and access your money. A Lasting Power of Attorney (LPA) would allow them to do that. You need to get one, now, while you have the mental capacity. You nominate a trusted friend or relative to look after your affairs. You’re not giving up control now. You choose for it to come into effect when you’re no longer capable. I’ve had one for years, and I’m 46. If you don’t have an LPA in place and you lose your faculties, your family will need to apply to take over your affairs via the Court of Protection. This can drag on for many months and cost in the £1,000s. If you’ve simple finances, you can set an LPA up yourself by filling in the online form. In Northern Ireland it’s www.nidirect.gov.uk and costs £127. If you’ve more complex affairs a solicitor can do it, though it can cost over £500. There are some good halfway houses though and discount costs explained in my guide at www.mse.me/POAYou can also get a separate LPA specifically for health decisions, such as medical care and your daily care routine, should you be unable to make them for yourself.